"Back in 1991, when a neighbor told me that a sidewalk for the blind had been built in Beijing, I rushed there by taxi. Sitting on the curb, I could not help sobbing," recalled Ye Yifan, a blind man from Beijing. Ye, 47, lost his sight to disease 20 years ago. Now, Beijing has more than 880 sidewalks for the blind, with a total length of 1,541.3 km. More sidewalks are still being built. As the host city of the 2008 Paralympic Games, Beijing is committed to building a barrier-free city for the disabled. Although the concept of a barrier-free city emerged shortly after World War II, it has been in China for no longer than two decades. "As China is a developing country, the barrier-free standards implemented in Beijing still lag behind those of developed countries," confessed Zhang Qiuping, Director of the Paralympic Games Department of the Beijing Organizing Committee for the Games of the XXIX Olympiad (BOCOG). "Nevertheless, Beijing Municipal Government has done a lot in this respect, especially after the city won the bid for the Games." Removing the barriers will not only make life easier for disabled people and senior citizens, but also encourage them to participate in social activities. "As a host of the Olympic and Paralympic Games, Beijing pledged to become a barrier-free city," explained Zhao Chunluan, an official with the Beijing Disabled Persons' Federation. 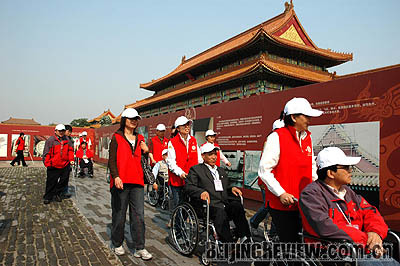 On May 16, 2004, the National Day of the Disabled, which falls on the third Sunday of May, Beijing published a rule titled the Regulations of Beijing Municipality on the Construction and Management of Non-barrier Facilities. The regulation was the first local regulation of its kind in China. It stipulated that when public or residential buildings are built, expanded or renovated, non-barrier facilities must be added. Many believe it is costly to build barrier-free facilities. However, Zhou Wenlin, a senior architect with the Beijing Institute of Architectural Design, said, "If planned in the design phase, barrier-free facilities do not incur much additional construction cost. To put it simply, just replace the staircases with ramps." During the Beijing Paralympic Games from September 6-17, more than 600 officers and more than 6,500 disabled athletes will come to Beijing. Twenty Olympic venues will be used in both the Olympic Games and the Paralympic Games. All these venues have been constructed strictly according to the technical manuals on Paralympic Games venues made by the International Paralympic Committee (IPC), and have been evaluated by relevant experts designated by the IPC. Designed to best accommodate the needs of disabled persons, the venues have passages, bathrooms and seats accessible to disabled people as well as conspicuous signs and a voice system to give directions. So far, most of the facilities are in place and have been checked and approved by experts. The Olympic Village will be "home" to athletes during both events. After the Olympic Games, the village will be occupied by Paralympic athletes. Several facilities such as a wheelchair parking lot and repair center have been added. The design has been meticulously tailored to meet the special needs of the athletes so they will feel at home, reiterated Deng Yaping, Deputy Director of the BOCOG Olympic Village Department and a distinguished table tennis player and Olympic gold medallist. "The care for Paralympic athletes has been built into every brick and every tile of the Olympic Village," expressed Wu Jinggu, Director of the BOCOG Olympic Village Department. "To give them easy access to their rooms, the bottom three levels of all the 42 apartment buildings there will be open during the Paralympic Games." BOCOG has contracted 119 hotels to serve the Games. So far, all of them have barrier-free bathrooms, parking, ramps and telephones. The Swissotel Beijing Hong Kong Macau Center will be the headquarters and command center for the IPC. The hotel is the first barrier-free five-star hotel in Asia. Non-barrier facilities have not only been built in or around the Olympic venues, but in every corner of the city. "I can tell that many changes have been made," Ye said. He often reads books in the Xicheng District Library because "the library has a computerized reading room for the visually impaired." Upon entering the library, Ye walks up a ramp and then follows a sidewalk for the blind all the way to the southwest corner of the lobby, where a voice reminds him, "Here is the reading room for the visually impaired." In the reading room Ye can read various books in Braille and surf the Internet. "Information technology has changed the fate of the blind," he said. 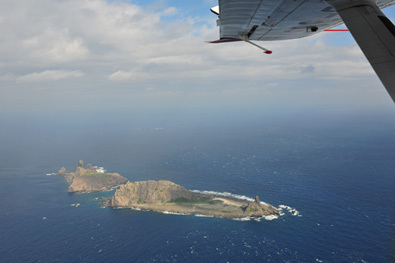 Non-barrier facilities are also available in Ye's neighborhood. Xu Li, another disabled person living in Ye's area said the Disabled Persons' Federation in the community had the staircases and bathroom in her home renovated to be barrier-free. More than 6,000 key barrier-free renovation projects have been carried out in Beijing. Beijing Capital International Airport and the city's railway stations are barrier free, and the subway stations along most major subway lines will be so by July. Sidewalks for the blind are also being paved in many bus stations. For people confined to wheelchairs, taking the bus is a headache. Beijing has prepared more than 2,000 buses accessible to wheelchairs. Some bus stops and traffic lights are equipped with digital voice systems to help the visually impaired. More than 70 barrier-free taxies offer door-to-door services on reservation. During the Olympic Games and the Paralympic Games, barrier-free information services will be provided. For instance, wireless hearing aids will be provided in some venues, and audio programs will be translated into sign language by computer. "I hope the Beijing Paralympic Games will turn Beijing into a barrier-free city and spawn more non-barrier facilities in other parts of China," said Tang Xiaoquan, Executive Vice President of BOCOG and Vice President of China Disabled Persons' Federation. 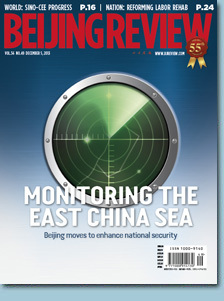 "A long-term effective mechanism should be established." "Finally, I can enter the Summer Palace from the entrance at the center," exclaimed Cheng Kai on a day in May. Cheng, Vice President of China Disabled Persons' Federation, needs a wheelchair to get around. Many royal palaces like the Summer Palace feature multiple staircases and high thresholds, which were big challenges to people like Cheng. Now, two barrier-free tourist trails with a total length of about 10 km encircle 25 scenic spots. Each trail is at least 1.4 meters wide to allow the widest wheelchairs to get through. Elevators have been installed in some ancient buildings to make them accessible by wheelchair. In China, an old saying goes, "He who has not been to the Great Wall is not a real man." Running on undulating mountains, the Badaling section of the Great Wall was not easily accessible to wheelchair users. Now people on wheelchairs can access that section via a barrier-free ramp of 180 meters and an elevator. The elevator has double doors. Wheelchairs can enter from one door and exit from another. The Great Wall was built to fend off enemies and now it is accessible even to disabled persons. This would have been beyond the imagination of the ancient people, Sir Philip Craven said on May 18, the National Day of Disabled Persons. As president of the International Paralympic Committee, he was one of the first guests invited to experience the disabled facilities at the Great Wall. China Administration of Sports for Persons with Disabilities (CASPD) and China Travel Service jointly launched a China Accessible Travel program. The program renders travel services to disabled persons and senior citizens. Based on studies in a number of cities, including Beijing and Shanghai, a joint working group designed accessible travel routes and set up service codes that meet international standards. Under the program, travel services are equipped with accessible tour buses, bilingual tour guides and well-trained volunteers or medical staff that can accompany tourists with special needs.